April showers bring May flowers and April is a great month to go outside and get a head start on yard maintenance. While excising shrubbery, you will be exercising your own limbs. You will be gaining strength in your shoulders, arms and core as you engage in the functions of snipping and sawing, stacking and hauling. Consider it money saved, exercise earned, and one more spring cleaning chore crossed off the list. Children of all ages love a new pair of gloves and many hands make light work of rejuvenating the yard. It will help motivate all involved, if you have a well-defined and well-publicized reward for all to share at the end of this family project. 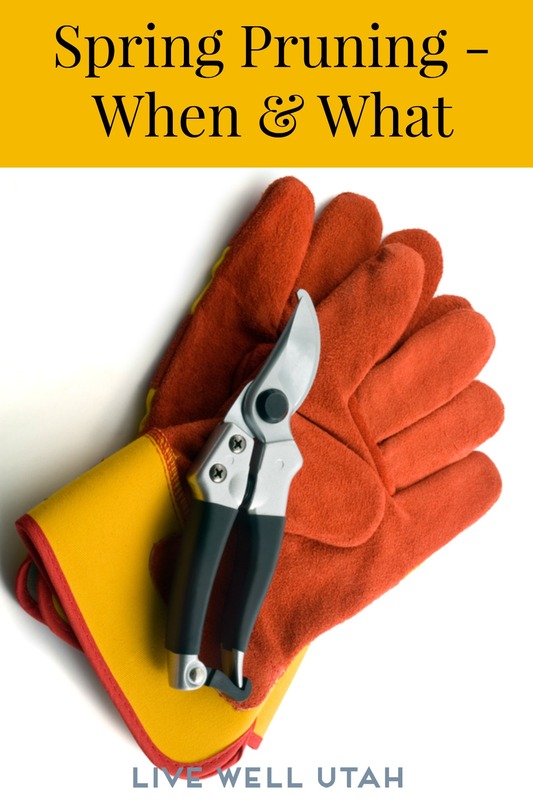 An important aspect of pruning is knowing when to prune. Proper timing helps insure attractive, healthy, productive plants. The proper times to prune varies with the different types of woody plants that we have in our yards. Spring flowering shrubs bloom in the spring on the growth of the previous season. A couple of examples are lilac and forsythia. The proper time to prune spring flowering shrubs is determined by their condition. If spring flowering shrubs need only light pruning then do it immediately after bloom. 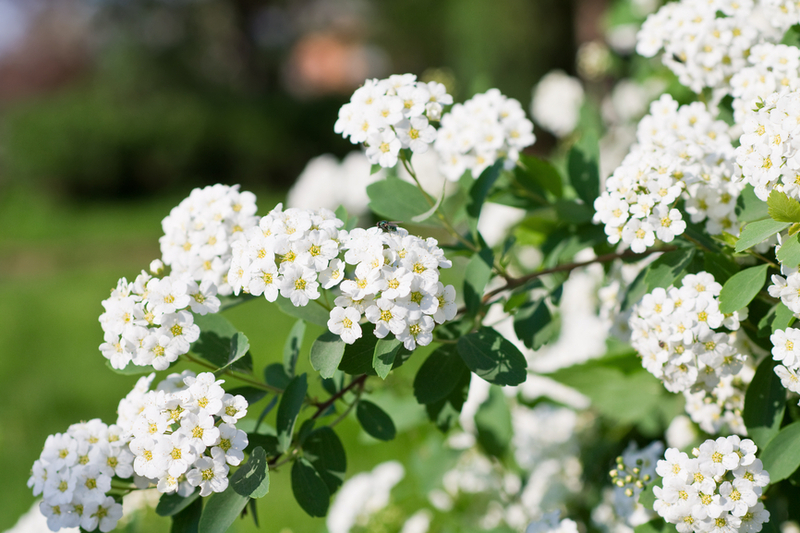 Pruning immediately after bloom allows gardeners and others to enjoy the spring flowers and gives the shrubs adequate time to initiate new flower buds for next season. Old neglected spring flowering shrubs often require extensive pruning to rejuvenate or renew the plants. The best time to rejuvenate large, overgrown shrubs is late winter or early spring till mid April. While heavy pruning will reduce or eliminate the flowers display for a few years, the long term health of the shrubs is more important. Summer flowering shrubs, such as potentilla and spirea, bloom in the summer on current year’s growth. Pruning these shrubs in late winter to early spring will still allow the plant to bloom in the summer. Many deciduous shrubs don’t produce attractive flowers. These shrubs may possess attractive bark, fruit, or fall leaf color. These shrubs can be pruned in late winter or early spring before spring growth begins. Don’t prune deciduous shrubs in late summer. Pruning in late summer may encourage a late flush of growth which may not harden sufficiently before the arrival of cold weather and may be susceptible to winter injury. Evergreen shrubs such as juniper and yew can be pruned in late March to mid April before new growth begins or light pruning may also be done in late June or early July. While deciduous trees can be pruned anytime during the year, the best time to prune is late winter or early spring before the trees leaf out. Some trees such as maples bleed heavily when pruned however this doesn’t harm the trees. The trees won’t bleed to death and the flow of sap will gradually slow and stop. The best time to prune fruit trees is from late winter to early April. Fruit trees pruned in the fall or early winter may be susceptible to winter injury. Happy pruning and be active and well. 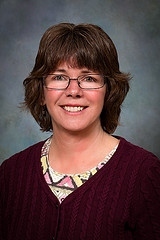 Suzanne Prevedel enjoys her family, farm and garden in northeastern Utah, and is a family and consumer sciences educator for USU Extension in Duchesne County.